It’s that our favorite time of year again… Dragon Burn season! What does that mean? Get ready for pre-parties, fundraisers, Burn-swaps, and Burnducation events leading up to the Dragon Burn 2019, May 1st-5th. Artist? Maker? Creator? Have 46 chromosomes and a heartbeat? We want you! Dragon Burn is calling on you to let out your creativity and share your passion with a like-minded community of creative minds! Dragon Burn…. 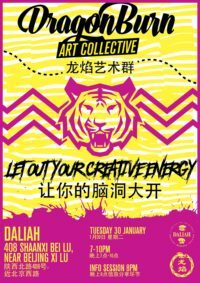 Art Collective 2.0 is tonight! Hello everyone! 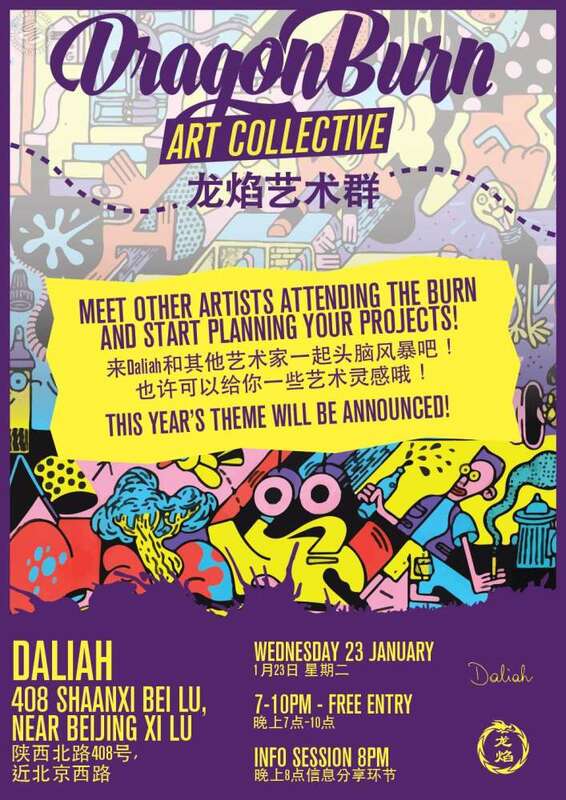 Dragon Burn Art Collective 2.0 is tonight! Curious what happens at Art Collective? Take a look at last year’s gallery to see pictures from last year’s event. 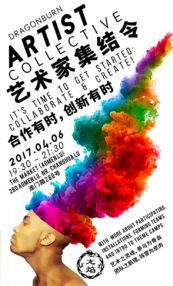 Author Doc BokPosted on 6th April 2017 6th April 2017 Categories EventsTags Art, Art Collective, Costumes, Music, PerformancesLeave a comment on Art Collective 2.0 is tonight! Hello everyone! Dragon Burn Art Collective 2.0 is here. Curious what happens at Art Collective? Take a look at last year’s gallery to see pictures from last year’s event. Last Thursday we hosted a call for artists and mini-fundraiser. Humans seeking humans to build a live-art, musical, satirical, burning community! Come and meet exciting, eccentric, artsy, costume wearing, dusty, fire-spinning new friends. 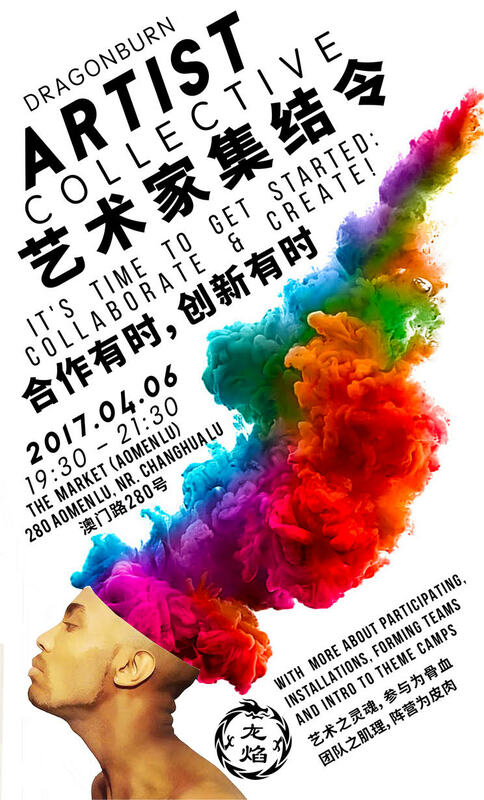 Author Doc BokPosted on 20th October 2014 17th March 2017 Categories EventsTags Art Collective, CambioLeave a comment on 3rd Annual Shanghai Decompression!